Congratulations! Happy National Poetry Month! What is this life! Last night, we were ultra-pleased to host a release party for Brandon Melendez’s hyper-new and shiny book, Gold That Frames the Mirror, a collection exploring family, home, joy, and just a little bit of tequila. It’s been an honor and a joy to host Brandon as a beloved local, team member, and slam champ at the Cantab, and his feature touched on many of the poems we’ve come to love and plenty of new work for us to learn from. Great gratitude to everyone who came to the basement to make this such a warm and special affair. Next week: heads-up heads-up, we will have a slightly shorter open mic on Wednesday! But why? Oh, only because we have qualified THIRTEEN lucky slammers for our Semi-Final Team Selection Slam, a two-round affair wherein poets have seven whole minutes to spend. Watch for some new work, some free-wheeling long-form, and surely a good dose of surprises as this baker’s dozen compete for the eight spots in our May 15 Finals. Click here to see the roster! Your phone tells you something you don’t care about and you respond. 2017 Boston Poetry Slam Team member Brandon Melendez. Photo by Lindsey Michelle. 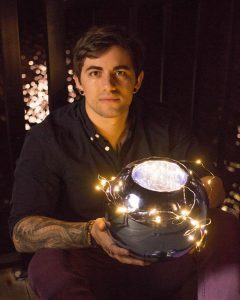 Brandon Melendez is a Mexican-American poet from California and a graduate from UC Berkeley. A recipient of the the 2018 Djanikian Scholarship from The Adroit Journal, and the 2018 Academy of American Poets Award, he was also awarded “Best Poem” and “Funniest Poem” at the collegiate national poetry slam (CUPSI). His poems can be found in Black Warrior Review, Muzzle Magazine, Ninth Letter, PANK, Shenandoah, and elsewhere. He is currently the reigning Champion of Champions at the Boston Poetry Slam and an MFA candidate at Emerson College. 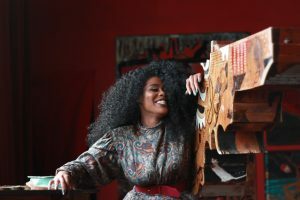 Cleveland superstar poet Siaara Freeman. Photo by Damien McClendon. Siaara Freeman is from Cleveland Ohio, where she is the current Lake Erie Siren. She is an avid reader & adores myths & fairytales. Once upon a time she was 16 and competed in a competition called Brave New Voices & from that day forward poetry was her happily ever after. She has toured both nationally and internationally (including Canada, Costa Rica and Norway). 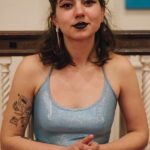 A two time nominee for the Pushcart Prize, a finalist for the 2017 Button Poetry chapbook competition, a 2017 Bettering America poet and Best Of The Net Poet, a 2018 Winter Tangerine chapbook fellow and a 2018 Poetry Foundation incubator fellow, Siaara is also a four year Pink Door Fellow & 2018 Pink Door faculty member. She has coached numerous teen and adult poets. She is the founder of Wusgood.Black and a reader for Tinderbox & Winter Tangerine journals. In her spare time she is growing her afro so tall God mistakes it for a microphone and tries to speak through her. Her first collection of poems, Raised By The Dead, is forthcoming in 2019 from Honeysuckle Press. Tonight’s show will also offer a late-night poetry slam, the Last Chance to get back into the team selection series! With Team Selection Preliminaries in the rearview (whoa) and Semi-Finals on the horizon (sweet! ), the Cantab offers one more chance to get back in the game. Poets who sit out the open mic and put their name in the hat by 9:00 p.m. will have a chance for one of eight spots in the 10:00 slam. 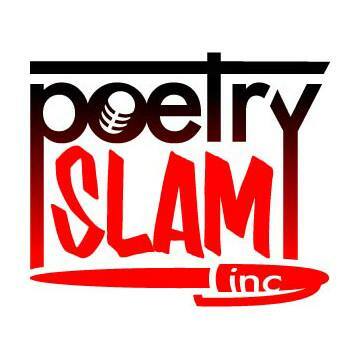 The slam will be two rounds (order is randomized by draw for both), and poets will have a TOTAL of 4 minutes over two rounds to impress the judges, with the top cumulative scorer earning a spot in Semis. Any poet looking for a Semi-Final spot is welcome to throw their name in the hat, including those knocked out prelims last week, but let the preliminated be warned: no poems that were already slammed in this year’s preliminaries will be permitted. If slam rules get you hype, you can check out the full format here. Judges are invited to offer their services in advance in return for free admission; please email slamseries@bostonpoetryslam.com. This show in our weekly Wednesday series takes place at the Cantab Lounge, 738 Massachusetts Ave. in Cambridge. Doors for the show open at 7:15. The open mic begins at 8:00 and the the feature will follow at approximately 10:00, with the slam beginning around 11:00. The show is 18+ (ID required) and the cover charge is $3. Our special thanks go to extraordinary sacrifices torrin a. greathouse and RebeccaLynn, plus our five hardy judges: Duke, Yehya, Maeve, Dahlia, and Ess. The twelfth spot, by the way, is still up for grabs! Wanna slam in Semi-Finals on April 24? You’ll need to win the Last Chance Slam, a two-round, four-minute-total free-for-all (sound familiar?) held this Wednesday after Siaara Freeman’s feature. And, by the way, we are SO EXCITED for Siaara Freeman’s feature that we booked a doozy of a show: the night kicks off at 5:30 with a workshop for writers finding joy through grief with Siaara! After that, doors open as usual at 7:15 for an 8:00 open mic, 10:00ish feature from Siaara, and 11:00ish Last Chance Slam for folks looking for a chance to get into semis. Happy National Poetry Month! 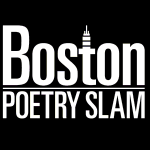 The Boston Poetry Slam will celebrate this year’s iteration of the Cruelest 30 by beginning the process to select a slam team to represent the venue for 2019. The Cantab’s Team Selection Slams have always been the venue’s biggest, wildest poetry slams of the season, and this year’s is no exception: up to TWENTY-ONE POETS will slam in these preliminary heats, and spots are still available to qualify! To see who has already qualified, and peep the remaining qualifying dates, click here. This year’s slam format, by the way, will be extra extra: poets get 4 minutes to spend over two rounds of poetry, lending an extra element of surprise and strategy to the competition. Judges will be pre-selected (are you volunteering?) to put numbers on this ultimately unpredictable affair. At the end of the night, the top poets advance to the April 24 Semi-Finals and can set their hopes on Finals in May. This show in our weekly Wednesday series takes place at the Cantab Lounge, 738 Massachusetts Ave. in Cambridge. Doors for the show open at 7:15. A SHORTENED open mic begins at 8:00 and the slam begins at approximately 9:30. The show is 18+ (ID required) and the cover charge is $5; proceeds will benefit the 2019 Boston Poetry Slam Team. It’s the last days of National Women’s Month, folks, but this week Justice Ameer gave us plenty to think about and poem upon for the next eleven months of the year. Yes, the month is too short and thirty minutes is not enough time to hear all from Justice that you want, but if you didn’t get xyr book last night, you might get a chance to hear xem the next time you visit the Providence Poetry Slam on a Thursday night. Our slam following Justice’s fire feature was full of hot competition: finals came down to local sometime slammer Max Ureña and new arrival Terah Ehigiator, with Max taking the $10 prize but both poets qualifying for Prelims next week. 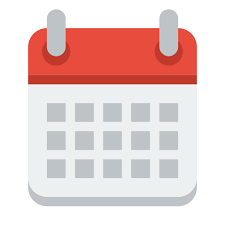 Next week: yes, yes, yes, it is that time already/at last! April 3 will mark the first night of our Team Selection Slams. A blistering list of qualified poets has been invited to slam off next week in two rounds totaling four minutes, with the top poets advancing to Semi-Finals at the end of the month. As always, we’ll be looking for judges: sign up to put up numbers in advance and you can earn free admission to the $5 show. Providence poet and leader Justice Ameer. Photo by Ally Schmaling. 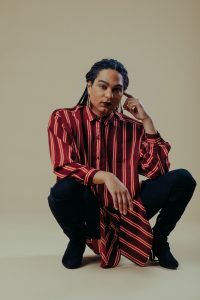 Justice Ameer is a poet and performer based in Providence, Rhode Island whose work explores the experience of being a Black trans woman in a post-racial and potentially post-apocalyptic America. Xe has competed and featured at various poetry venues across the nation. Xe is a Pink Door fellow, FEM Slam Champion, and two-time Providence Grand Slam Champion. Xyr work has been published in Glass Poetry Press, POETRY magazine, and The BreakBeat Poets Vol. 2: Black Girl Magic anthology.